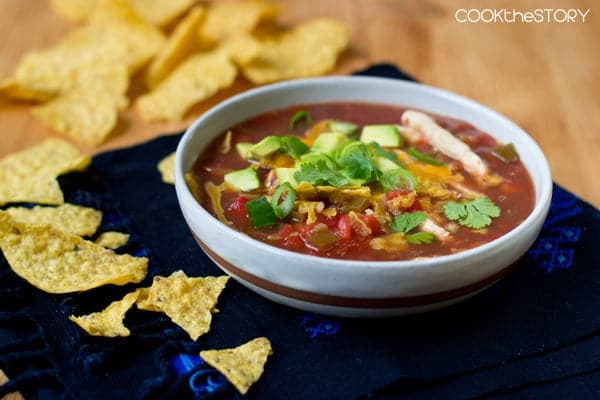 This quick Chicken Tortilla Soup Recipe uses salsa to deepen the flavor instantly. It’s delicious and ready in less than 15 minutes. Today’s post is in honor of the Back to School season. I’ve teamed up with a bunch bloggers to share our ideas and to offer you a nice cash prize ($350!) to help with your school supply shopping and a bonus prize of Urban Accents spice rubs to make weeknights a breeze. Scroll down to see all the Back to School links and to enter the giveaway. Omelette, flatbread, little cake – no matter what it means, tortillas are tasty things. Speaking of the flatbread variety, they’re also super-convenient when it comes to mid-week dinners. Whether we’re talking about flour tortillas or corn tortillas, soft and warm or baked until crunchy (or bought already baked. Or fried! ), I know that I’ll be turning to tortillas often for Back to School solutions. Having a pack of tortillas on hand is one of those great Back to School ideas. If you’re stuck for something quick to put in lunchboxes or a quick dinner, the tortillas will help! Tortillas show up in lunches and dinners in our house as flatbread pizzas, wraps, quick weeknight dinners like these One-Skillet Vegetarian Quinoa Fajitas and also in today’s recipe for Quick Homemade Chicken Tortilla Soup, ready in under 15 minutes! If you’re looking for more great Back to School ideas, check out the links at the bottom of this post. They’re to Back to School recipes, crafts and ideas from some great bloggers. And down there you can also enter to win a nice cash prize ($350!) to help with all those school supplies and some interesting spice rubs to make weeknights a breeze! For this tortilla soup I used store-bought baked corn tortillas. But you can bake your own tortillas following the instructions here. 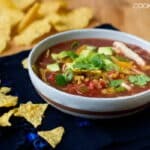 This chicken tortilla soup recipe, as with all my Soup in 15 Recipes, which I’m posting every week for a year, is ready from start to finish in less than 15 minutes. The Souper Tip that makes this soup so delicious in such a short time isn’t the tortillas. It’s tortilla chip’s best friend: Salsa! You can find many varieties of salsa, from mild to very spicy. Whatever heat level you choose, it has a wonderful slow-simmered flavor. When you add it to soups, it makes the soup taste like it was simmering for hours, even if you only spent 15 minutes making it. 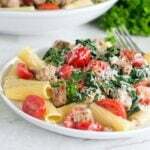 To make this soup as healthy as I can I buy a salsa with as little sodium as possible and one that has whole ingredients like tomatoes, peppers and onions. If you’re looking for other ideas to make soup taste amazing in a short time, check out all my other Souper Tips here. And the other Soup in 15 Recipes here. And now, here’s my quick Chicken Tortilla Soup Recipe. See you in 15! 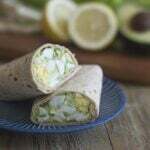 Oh, don’t forget to scroll down to see the other Back to School recipes and ideas and to enter to win our Back to School cash giveaway. 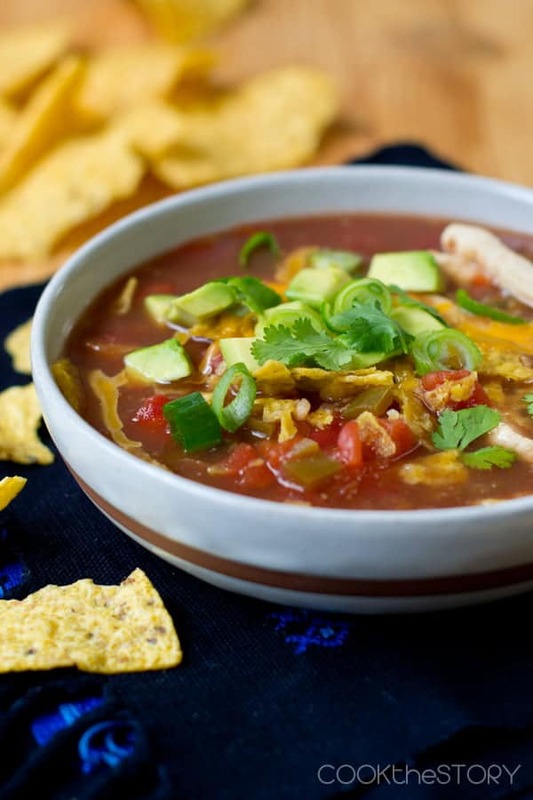 This quick chicken tortilla soup recipe uses salsa to deepen the flavor instantly. The soup is ready in less than 15 minutes. To make the soup as quick as possible, first read through the recipe. As you read, gather up all the tools, pots, bowls and ingredients that you'll need. Then start cooking. Put a large pot or Dutch oven on the stove over high heat. Pour in the chicken stock, diced tomatoes and salsa. Cover and let it come to a boil. Meanwhile, shred the cheese, chop the green onions, chop the avocado and pluck about 20 cilantro leaves. Put each ingredient into its own little bowl. Slice the chicken cutlets into 1/4" slices. When the stock comes to a boil, add the chicken. Reduce heat to a low simmer until the chicken is cooked through, 2-3 minutes. Drain the black beans and add them to the soup. Let them heat through for 30 seconds or so. To serve: Get out 5 bowls and crunch 2 tortillas into each one. Ladle soup into the bowls. Crunch another 2 tortillas onto the top of each. Let people add their own other toppings as desired. 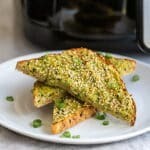 More Back to School Recipes and Ideas! 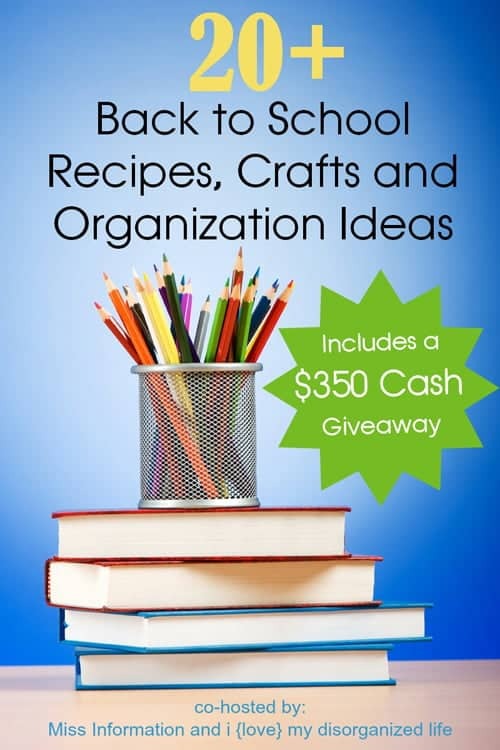 And now, enter here to win the amazing Back to School Giveaway. The giveaway is for a $350 cash prize plus a special bonus of 4 Urban Accents Spice Packs. Urban Accents products are available at grocery stores, Costco Midwest and online at UrbanAccents.com. They also make tasty specialty items for Crate & Barrel, Sur La Table and World Market. *The info about the meaning of the word tortilla comes from Wiktionary. Disclosure: The money for the cash prize in this post was contributed by the participating bloggers. The spice packs are sponsored by Urban Accents. All opinions are my own. Just looking at the pictures makes my mouth water. Chicken tortilla soup is one of my favorites! Love that it can be made so quickly! I am a year round soup eater. I have ordered this in restaurants, but have never tried it at home. With only taking 15 minutes–what more could I ask for to push me over the edge to finally just DO IT. 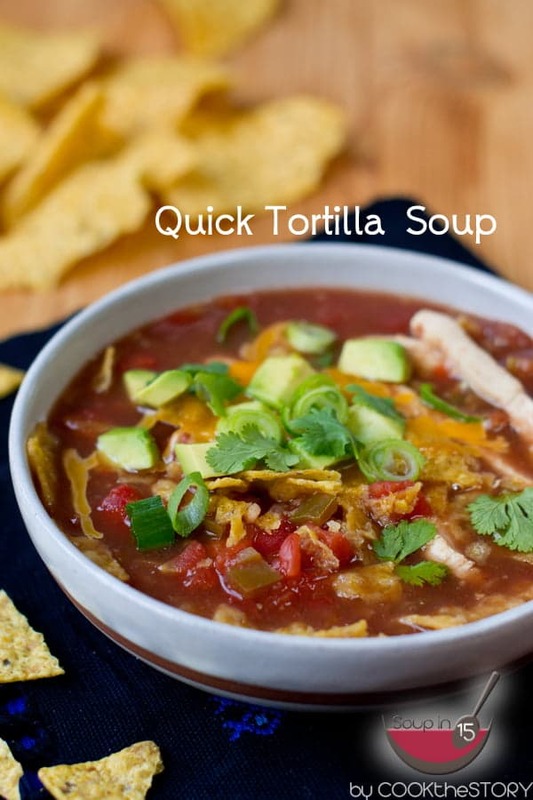 I’m all about a quick tortilla soup recipe…it’s already starting to get chilly here in upstate NY (upper 40’s last night! ), so soup will be on my brain soon. Thanks for sharing!! This soup looks absolutely delicious, Christine! And it’s ready in just 15 minutes – EVEN BETTER! Thanks for sharing.